Last night, Ryan and I decided to go out for a celebration dinner. We take our celebrations very seriously, so we thought this might be an event special enough to drive across town to the east side to go to Noodles and Co. This drive took us through a pretty major college campus, which more importantly, is also the jurisdiction of my best friend, the cop. Nonchalantly I say to Ryan, "Hm, I wonder if Kelsey is working tonight." He immediately turned to me and grinned. "I don't know, but let's drive really fast and see if we can find her." Last night, we were celebrating. Ryan and I have been working towards some dramatic change in our lives for the last several months and yesterday was the cultivation, and consequential celebration of multiple pieces finally coming together. Fruition, I guess. Several years ago, when I had just met Ryan, I can remember one of our first phone conversations. We weren't even dating yet -- I had known him for maybe a week or two, but we talked on the phone for an hour that night. We were just getting to know each other and so, most of the conversation was forgettable. Things like, oh you like Chinese food? Me too! and just so you know, I'm a serial hair dyer and compulsive nail-biter. Ryan was driving home from Traverse City that night. Oh, how we talked about TC. I told him about the vacations my Opa and Oma and I went on. How it has always been our favorite day trip and about the time we went to the Great Wolf Lodge for spring break. He told me about his family's cottage just south west of TC and the years he'd spent there since he was a kid. Then, and I'll never forget, he said "I want to live here someday." And I nodded. "Yeah, me too," I said. Something about that tiny piece of wishful dreaming was valuable enough that I have never forgotten it. Everything else from that conversation is gone, but that, that dream, stuck around. 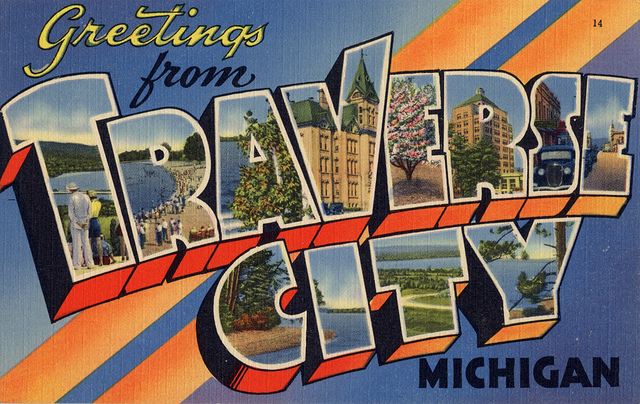 Yesterday I accepted a wonderful new job in Traverse City. We are relocating. Packing up our lives and the puppies, filling up our cars and taking off. Six years ago we agreed that we wanted to live up north. I wonder now if I knew how much I meant it when I said it. For six years, we've visited and licked ice cream cones while we walked the streets and together, we've dreamed about what it would be to call this place home. In two weeks, it will be. Fruition of six years of dreaming. 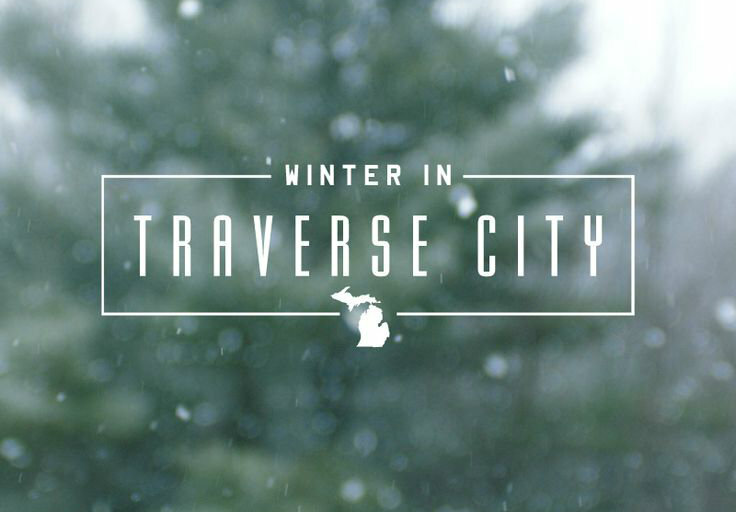 You can click here to see why we love Traverse City and are so excited to become "locals." I loooooove Traverse City! Going up there for a wedding in June!